Another GREAT Giveaway from our friends and TinBoats Sponsor, Wired2Fish! WOO! 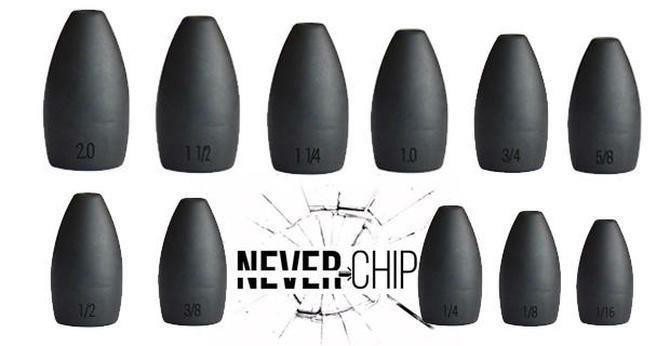 Tungsten just introduced a brand new tungsten weight that they call "Never Chip". They even ran it through a blender to see if they could make it chip. Weights one, blender zero. It did break the blender though. For this giveaway, you can enter for a chance to win a package of 1/16 through 2-ounce weights for you to put through the ringer. High quality, no-chip tungsten for more sensitivity and more durability no matter what the conditions. This giveaway ends February 19th, 2019. 5 winners. Good luck! 5 Winners guys! Hopefully a member of TinBoats is a winner. Last day to enter this one folks!